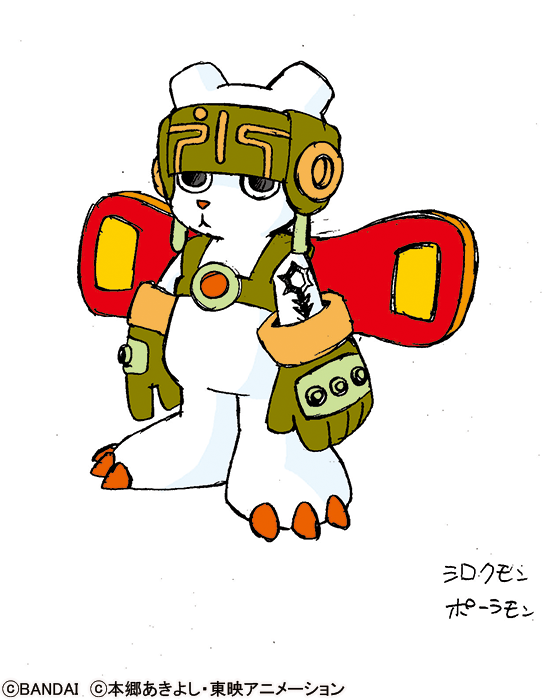 We start with a bit more production artwork for Digimon Frontier! 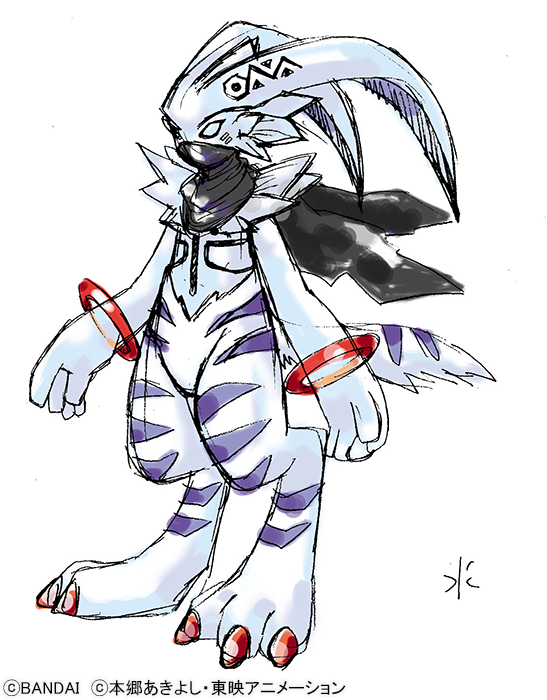 This time they tease us with early rough draft designs of a certain 'white' Digimon. 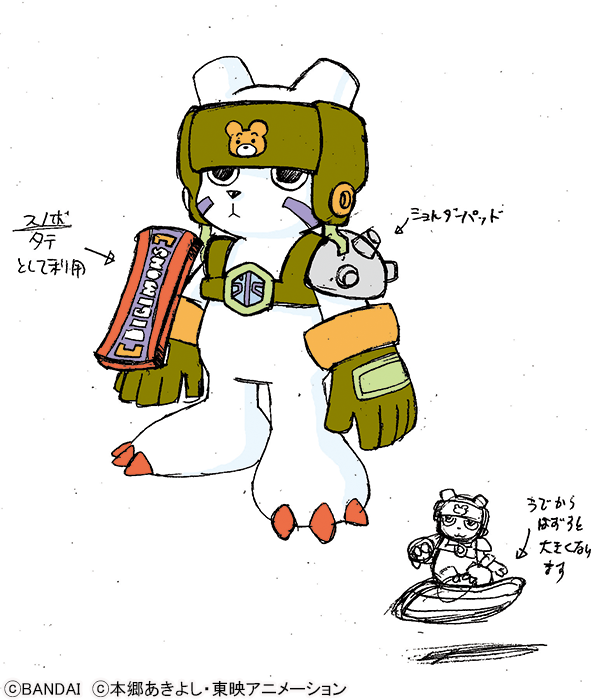 Between the mention of ice, white, that the second image is a bear, along with the chest design on the first image being somewhat similiar to the sigil on his chest, we can likely safely guess that these are early 'unnamed' designs that were being drawn up for the Digimon who eventually became Chakmon. Update- They've posted that it was indeed Chakmon and showed off some Chakmon art! They posted how you can see Chakmon's design overall was decided through via trial and error on trying different things. With a few weeks left, hopefully we will get more early Frontier art! Show You My Brave Hearts Volume 4 will take place at the Shibuya Rex on on June 22nd. 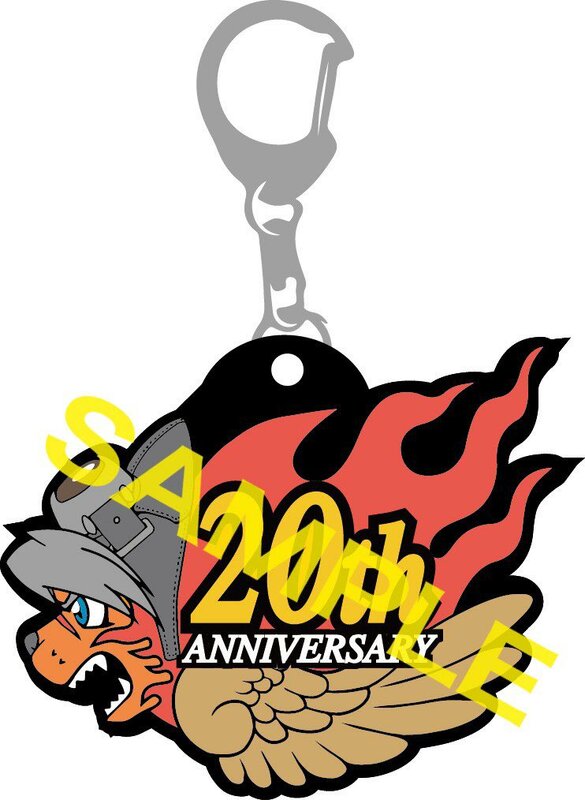 Those who purchase S tickets will get a complimentary keychain featuring Stradion, Miyazaki's mascot character designed by Kenji Watanabe. Prior updates, with ticket details, can be found here. Hmm, I really like that first design, but I see why they didn't use it for Chakmon or Blizzarmon since it seems a little too similar to Wolfmon in terms of colors and theme. The second one is cute, but a bit too simplistic, more like a what I would expect for the depowered Child level form of Chakmon. That seems more like Garurumon legs and tail to me. Updated with Chakmon confirmation, art, and a few other details. Whoa Proto-Chakmon is so completely different... When I first saw it at the news, I instantly thought of a certain sea creature from the Legend of Zelda. 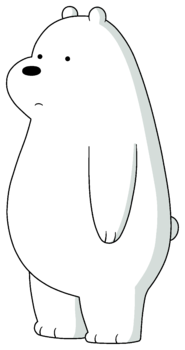 And lol We Bare Bears-like digimon. Hmmm. 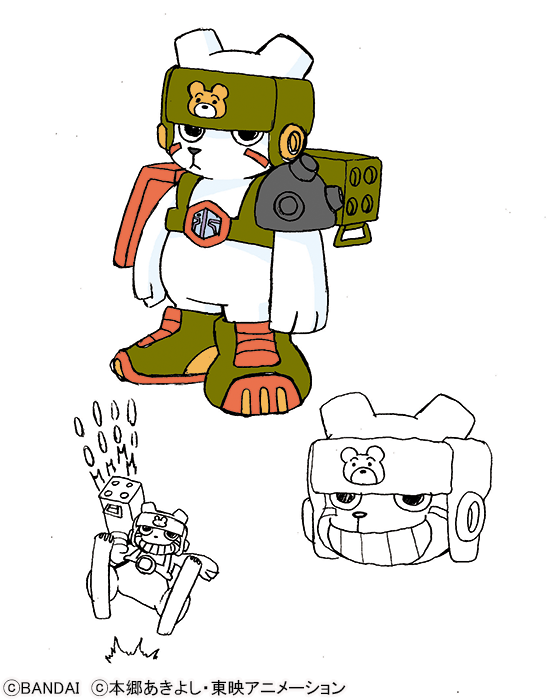 Where have I seen that Bearmon/Kumamon concept art before? This was BEFORE We Bare Bears. 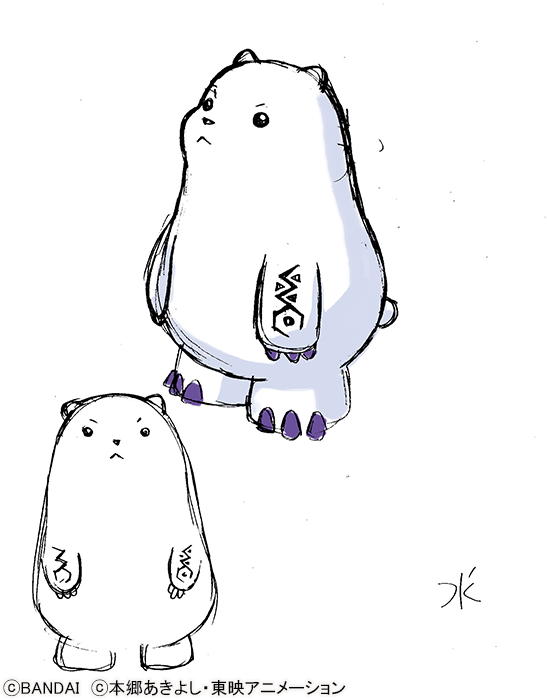 The second design reminded me of Young Ice Bear from We Bare Bears. Yes, I know. It's a joke. Hmm, I really like that first design, but I see why they didn't use it for Chakmon or Blizzarmon since it seems a little too similar to Wolfmon in terms of colors and theme. I think it’s pretty clear that they were originally planning on using a form of Garurumon as the source of the ice spirits (presumably used by Kōji), which fits the original Garurumon line’s elemental association much better. It would also have maintained the duality of fire and ice between the two lead boys. I assume they changed it and made Ancient Garurumon the source of light spirits when they committed to the idea of the warrior of darkness being Kōji’s twin, but still wanted to maintain the lancer’s association with Garurumon. If you think about it, having the youngest kid, Tomoki, be the bearer of the light spirits would have fit the mould set by earlier instalments in the franchise, so it wouldn’t surprise me if that had been their original plan. Last edited by Seymour Butz; 03-14-2019 at 07:49 PM.